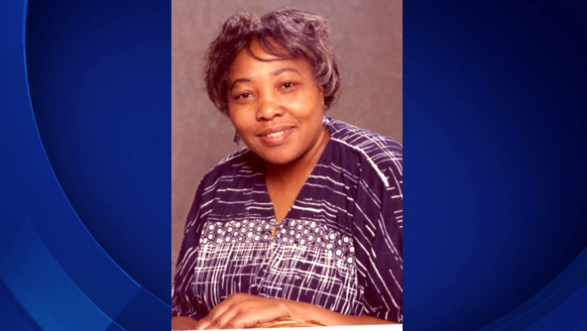 LOS ANGELES -- A 74-year-old woman was released from prison late Monday evening after serving 32 years for a murder committed by her abusive boyfriend. Mary Virginia Jones walked out of Century Regional Detention Facility in Lynwood just before midnight to the tears and cheers of family and friends, The Los Angeles Times reports. Jones was convicted of first-degree murder, kidnapping and robbery in a 1981 shooting death, but Los Angeles Superior Court Judge William Ryan set aside those convictions on Monday, reports CBS Los Angeles. The district attorney's office has agreed to accept a plea of no contest to voluntary manslaughter in exchange for Jones' release. Jones has already served 11,875 days, which exceeds the 11-year maximum sentence for voluntary manslaughter. Jones' case was taken up by the University of Southern California's Post-Conviction Justice Project. It contends Jones' boyfriend, Mose Willis, kidnapped two drug dealers and forced the woman to drive to an alley, where he shot both men. One of them was killed. "She ran down the alley fully expecting him to shoot and kill her, too," said Heidi Rummel, co-director of the Post-Conviction Justice Project and the supervising defense attorney on the case. Willis, who was sentenced to death, died while on death row. For years Jones maintained that she "did not willingly participate in the crime." A week before the shooting, Willis shot at Jones''s daughter, Denitra Jones-Goodie, and threatened to kill both of them if they contacted police, according to defense attorneys. "He pulled a gun on me and shot at me, and my mother witnessed that," said Jones-Goodie. "And he threatened to not only kill me but to kill her and anybody else that came to our aid." Law students at USC's Post-Conviction Project argued Jones would not have been convicted if the jury had heard testimony on the effects of intimate partner battery, previously known as "Battered Women's Syndrome."